To “Map Your Valentine” Google then provides the following “gCard” form which can then be sent via email to that special someone. I sent one to my special someone. 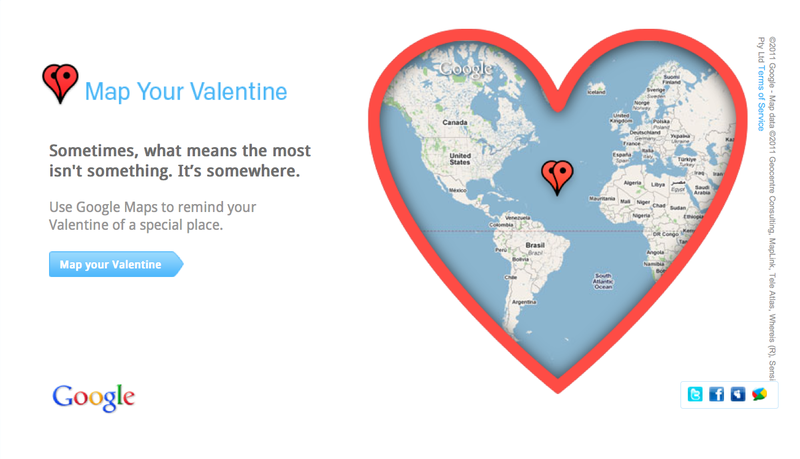 How many other Google users will send a Map Your Valentine message encased in the Google brand to their special someone? 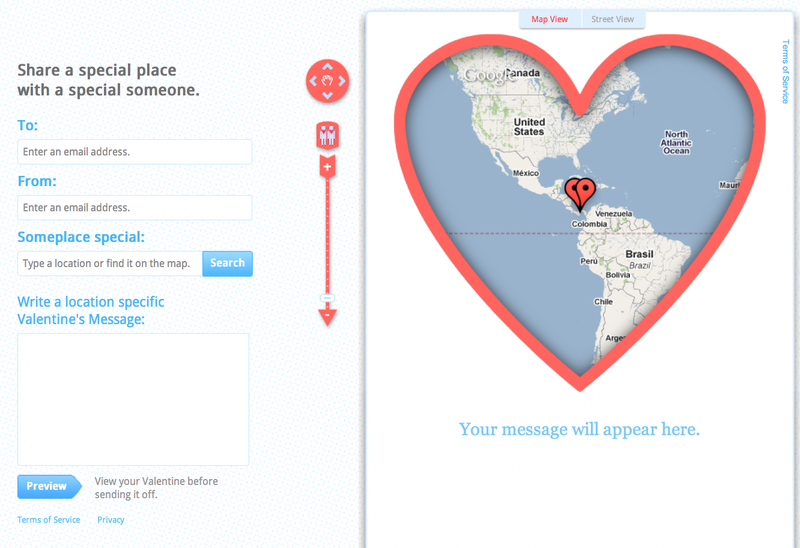 This entry was posted on February 14, 2011 at 5:14 pm and is filed under gCard, Google Branding, MapYourValentine.com. You can follow any responses to this entry through the RSS 2.0 feed. You can leave a response, or trackback from your own site.